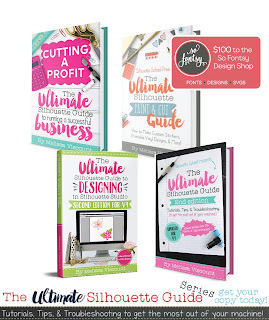 What and When Can I Cut Without Silhouette Cutting Mat? 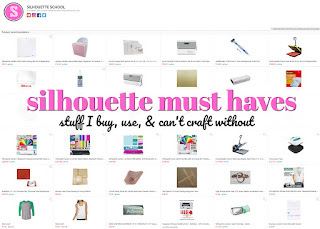 When it comes to cutting with a Silhouette Cutting Mat there are definitely differing opinions. 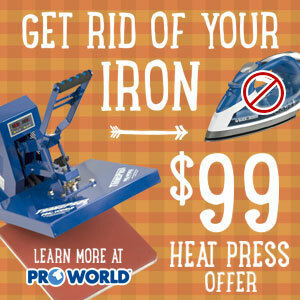 While it's not always necessary to cut with a mat, it is always necessary to cut certain materials with a mat. 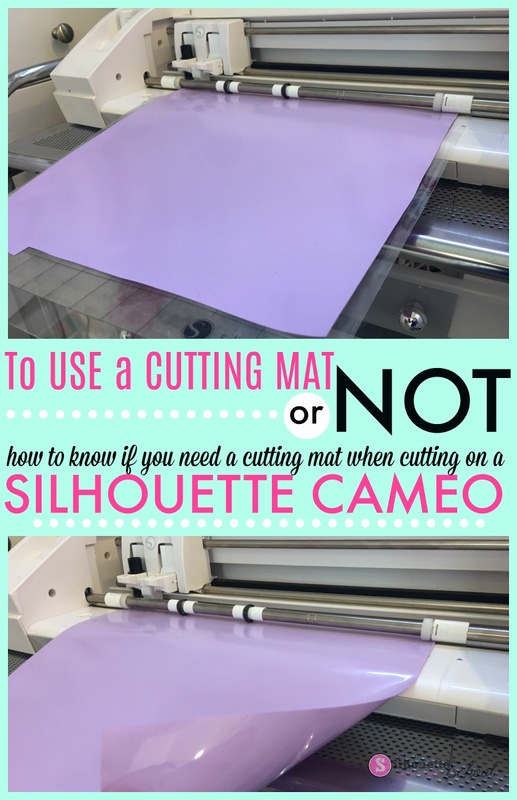 Today we're going to get to the bottom of when and what you can cut without the Silhouette cutting mat and when it's absolutely necessary. 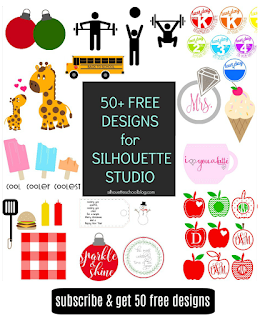 Do I Need to Use a Silhouette Cutting Mat? There are two things that determine if you can cut without a cutting mat. 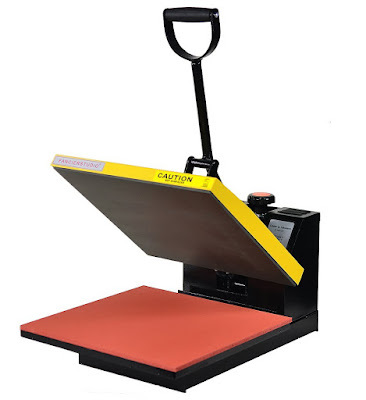 Both of these conditions MUST happen in order to successfully cut with your Silhouette CAMEO or Portrait without a Silhouette cutting mat. What Materials Can be Cut Without a Mat? Lined materials are the only materials that can be cut without a cutting mat. These are materials such as adhesive vinyl, heat transfer vinyl, and stencil material. These materials are on a liner which is eventually removed after cutting. When cutting lined materials you want to kiss cut - or cut only the material itself, leaving the liner fully intact. 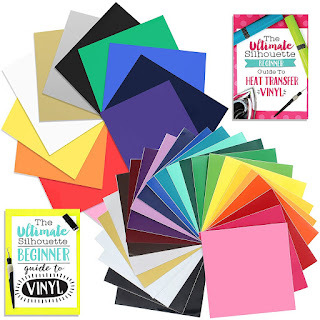 By cutting only the vinyl layer, for example, the paper-backing holds the cut piece in place and prevents it from "falling out" while cutting and rolling through the Silhouette cutting machine. If you were cutting a piece of paper without a cutting mat, since it has no liner the die cut would fall out. This is why paper always needs to be cut with a cutting mat. The Silhouette cutting mats are not only sticky, but they're the full width off the cutting machine. The mat is held in place by the two sets of rollers. That means, when cutting with a mat the material on the mat - no matter the size - stays in place while cutting. This is essential for getting a good cut. Therefore, when cutting without the cutting mat, the material needs be large enough that it can fit under both sets of rollers as well. Keep in mind, the right roller can be moved in to accommodate materials that are less than 12" wide (for the CAMEO) or 9" wide (Portrait). However, the right roller can only move about half way in - which means materials that are less than about 8" wide (on the CAMEO) will not fit under both sets of rollers can not be successfully cut without a cutting mat. 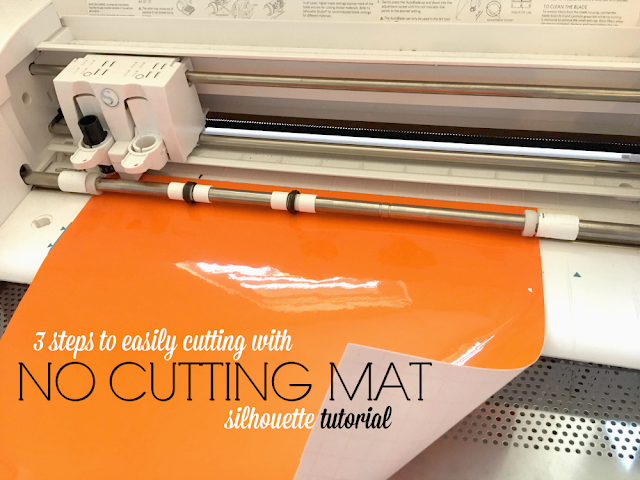 If you are cutting a roll or sheet of vinyl or HTV that's longer than 24" and it can't fit on the Silhouette 24" cutting mat, you can cut it without the cutting mat either alone or with the Silhouette Roll Feeder. The Roll Feeder helps to keep the vinyl loading straight while and prevent it from slipping out from under the rollers while making long cuts. All of the Silhouette CAMEO machines (CAMEO 1, 2, 3) and the Silhouette Portraits (1, 2) have the ability to cut without the cutting mat. The Silhouette Curio does not use a cutting mat, but instead a series of bases and platforms. It does require that the base and platforms be used with every cut - even when cutting lined materials. My recommendation is always to use a Silhouette cutting mat when possible. I just think you get better cuts and have less of a chance of a mis-cut due to slipping. However, there's no reason you have to use a cutting mat with a Silhouette CAMEO or Portrait if you meet both conditions for cutting without a cutting mat. In addition to moving the Silhouette CAMEO rollers, cutting without a cutting mat requires some slight changes to settings in Silhouette Studio. 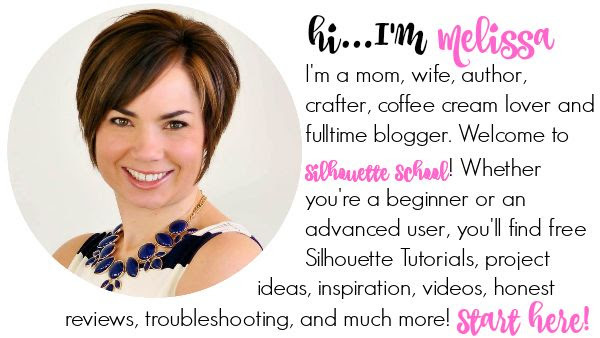 Check out this free Silhouette tutorial to learn exactly how to cut without a cutting mat.